Just like fashion, resume writing is ever changing. If you want to keep up, you have to follow the newest trends. A resume that got you a job two years ago, might easily be thrown into the bin in 2016. A couple of years ago, recruiters spent twice as much time going over a candidate’s resume than now. In 2016, if you’re lucky to have a human read your resume (many companies use ATSs – Applicant Tracking Systems), be sure that he or she won’t be wasting more than 6 seconds on an average looking resume. Recruiters have grown too picky when choosing the right man/woman for the job. In order to get their attention and invite you for an interview, your resume must be up-to-date. So, if you haven’t done so already, it’s about time to give your resume a little facelift. Here are a couple of valuable tips for you to modernize your resume and make it stand out in 2016. Good luck! 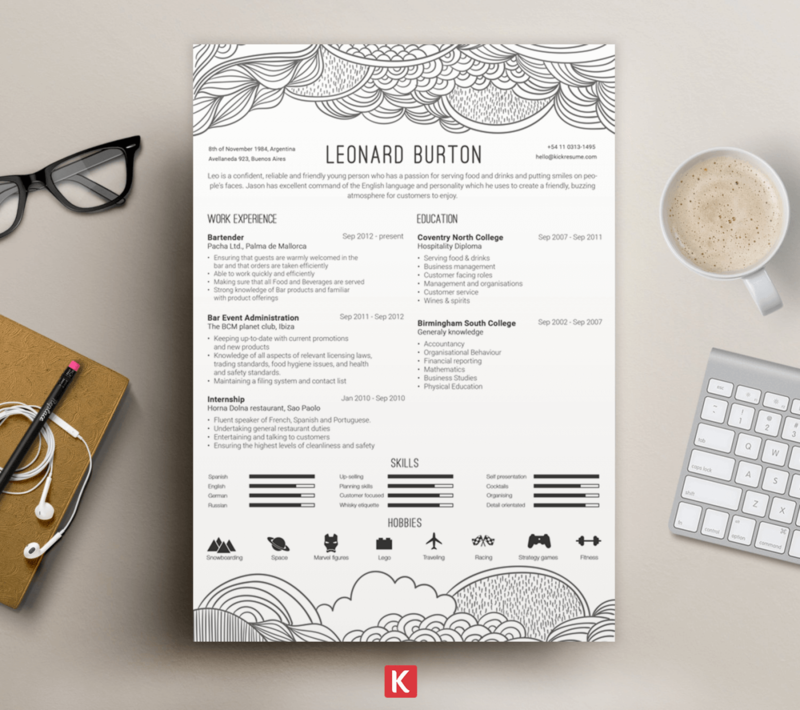 The newest trends in resume writing are in favor of monochrome design. The world is obsessed with minimalism right now and so are the hiring managers. If you love colors, add some subtle color details to your resume by means of headings, borders, icons or graphs. Since the current trends don’t support photos on resumes, be original and create your own logo instead. When it comes to fonts, minimalism rules again. Pick an easily legible, preferably a sans-serif font, e.g. Arial, Cambria, Helvetica or any other similar typeface. Choosing a universal typeface is practical since they translate well between different operating systems. Even though it doesn’t make much difference now that the vast majority of resumes are being sent as PDF files, these standard fonts are still popular with the hiring managers. Special tip: Use bolded font to highlight information you wish the hiring manager to notice first. Put your greatest achievements or skills you’re best at in bold because a human eye subconsciously focuses on highlighted text. It works, right? Resume objectives belong to history. Most hiring managers don’t like seeing objectives on resumes since they’re usually just cliché statements that don’t add any real value to the candidate’s skills. Depending on the amount of your experience, you can consider writing a short executive summary. 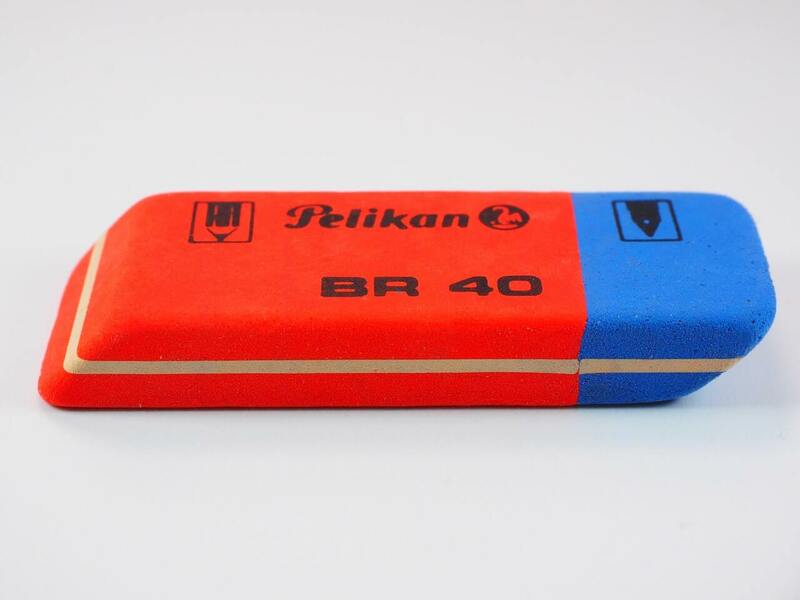 It can easily be just a couple of bullet points summing up your most powerful skills. Keep in mind that your summary should communicate your aptness to the job position in question. Are you a proactive, self-motivated professional who thinks outside the box? Alright, but so are most of the people. Don’t be like everyone else and forget these buzzwords. Buzzwords don’t appeal to the human reader and are not at all helpful when your resume gets through the ATS. Your copy should also contain the keywords from the job description. That’s crucial if you want your resume to survive the Applicant Tracking System. A little tip from us: Ditch the good old “References available upon request” line. These are busy times and hiring managers are just not that keen on reading big bodies of text. So, after you’re done with your resume, run your eyes through the text once or twice more and consider cutting it down a little. Shorten sentences, delete the fluff, keep the most important information only and use bullet points to make your content easier to read. Don’t overflow your resume with text. Let it breathe! We live in an online world so showcase something different than just a written word. Your resume’s content is essential, but your resume could offer a richer experience to the hiring manager: Add a link to your personal website or your LinkedIn profile to your resume. You don’t have a personal website? 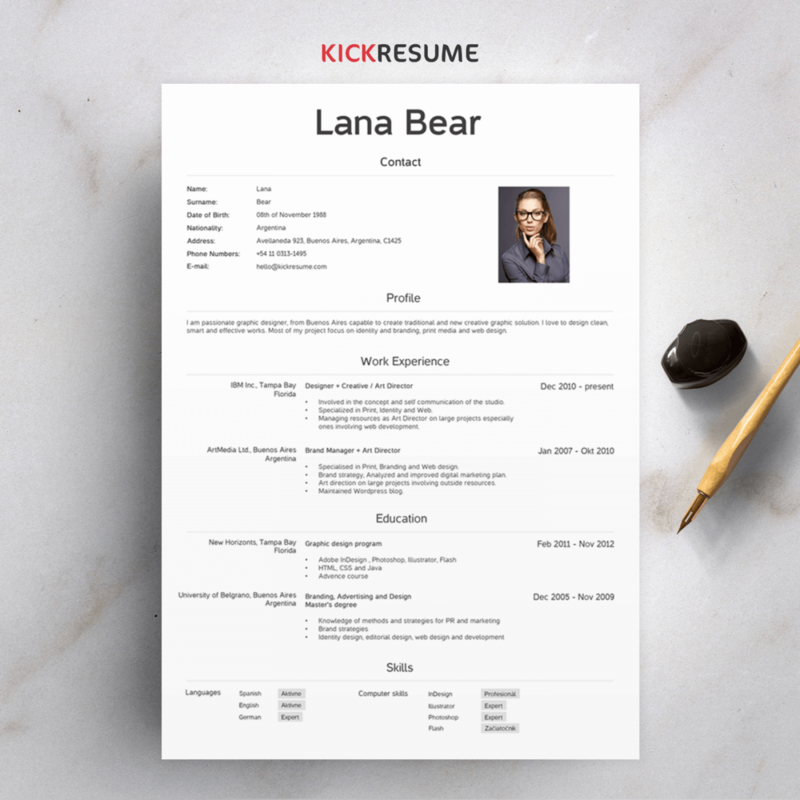 Create one with Kickresume. 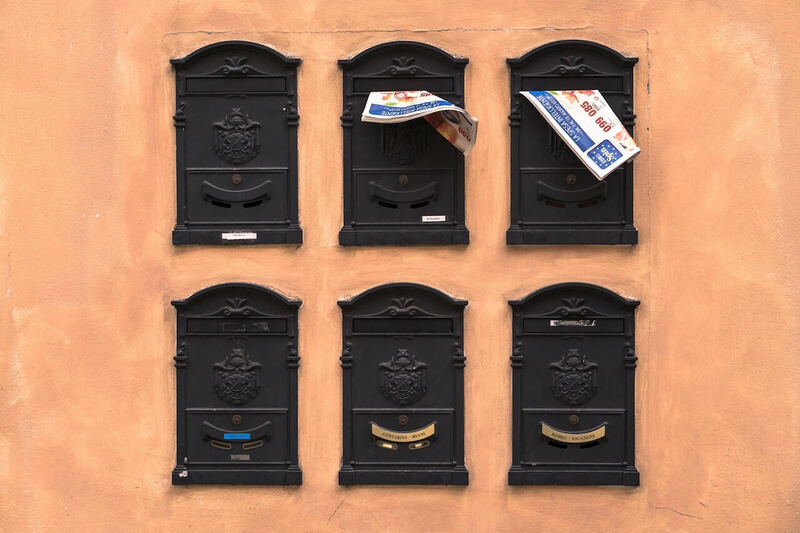 Hyperlink your email address to make it easier for the hiring manager to contact you. Where appropriate you can even attach links to your social media sites. The hiring manager will google you anyway and by providing the links on your resume, you’ll appear confident with your social media presence. By bold, we don’t mean rude or silly. Taking a risk to make your resume unique and a bit unconventional pays off sometimes. People who have the courage to present themselves differently than the rest are often viewed by the hiring managers as the most creative and resourceful ones. If you see it fit for the job position you’re applying for, try using a soft slang here and there, make a little joke, or be brutally honest and write something you wouldn’t normally put on your resume. This will help you stand out and be remembered. But be careful not to overdo it or your resume might end up on a pile of shame!